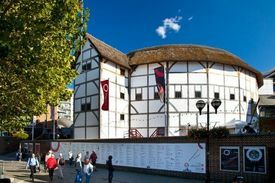 London — Firsts, London’s Rare Book Fair, presented by the Antiquarian Booksellers’ Association, is delighted to announce that the Official Fair Partner is international online rare bookseller Biblio, and Charity Partner for 2019 is Shakespeare’s Globe. Firsts London, the ABA’s annual flagship event and one of the most prestigious rare books fairs in the world, will open its doors to visitors from 7 - 9 June in beautiful Battersea Park. More than 150 exhibitors from around the world - sole traders and larger companies - will showcase rare, unique and unusual works for visitors with a wide range of cultural interests and a passion for the printed word, art, books maps and related ephemera from museum-quality medieval manuscripts to modern signed first editions. Firsts London at Battersea Evolution is open from noon - 8pm on Fri 7 June, 11am - 7pm on Sat 8 June, 11am - 5pm on Sunday 9 June and also includes live demonstrations, tours and talks.